No one looks forward to having a wisdom tooth removed. People often envision the process as scary and painful. However, nothing could be further from the truth. That’s why the Boise dentists at Summit Dental Group would like to provide you with the following information about what you need to know when preparing for this procedure. Approximately 85 percent of people in the Treasure Valley need to have a wisdom tooth removed at one point or another. As a common Boise dental procedure, wisdom tooth extraction is a basic process to remove one or more of your third molars. 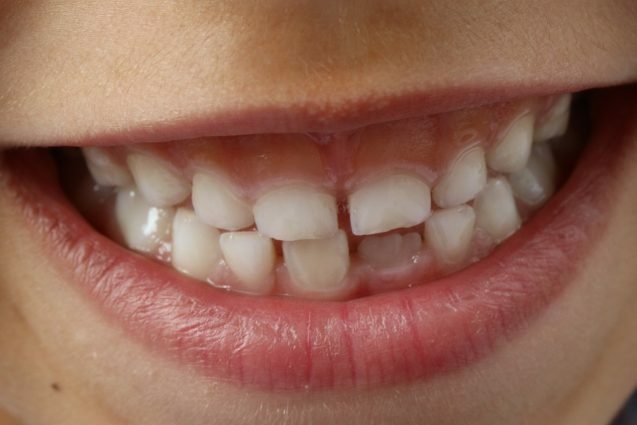 These teeth are located at the top and bottom of the back of your mouth. 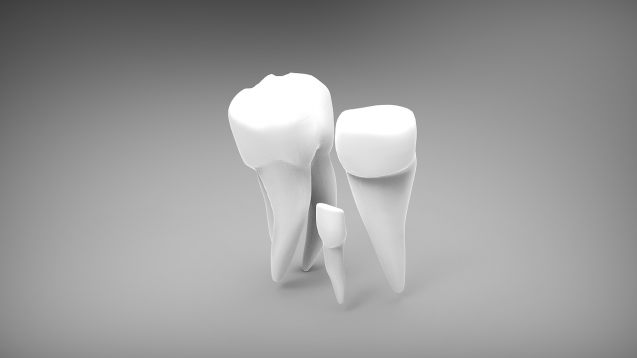 As the last teeth to erupt, wisdom teeth usually develop between the ages of 17-25. Keep in mind that while most people develop wisdom teeth there are a lucky few who don’t. When wisdom teeth develop, they can often become problematic and can cause oral health problems. These include infections, cysts, tumors and damage to other nearby teeth and gums. Infection can also spread and cause problems to vital organs such as the heart and kidneys if left untreated. Wisdom tooth extraction isn’t a painful process. Instead, it is a surgical procedure that’s done using local anesthesia, sedation or general anesthesia depending on your individual needs. This will ensure you will not experience any pain during the extraction process. Even if you don’t experience any pain or swelling in the back of your mouth doesn’t mean you have problem-free wisdom teeth. In fact, there are many cases when problems develop without any symptoms. The best way to avoid these is to have your wisdom teeth regularly checked by your Boise dentist. Only then you will you know for sure whether or not your wisdom teeth are healthy or if they should be removed. Recovery time is based on an individual basis. However, there are ways to ensure a speedy recovery after a wisdom tooth extraction. These include avoiding strenuous activity during the healing process, smoking, and sucking on straws after the procedure. You will also need to be gentle when you brush your teeth, especially near the extraction area. Whether or not you will need a wisdom tooth extraction depends on the advice of your Boise dentist. Good dental health is an important part of maintaining and caring for your wisdom teeth as they are located in the very back of your mouth and are harder to clean. If you are one of the lucky few that gets to keep your wisdom teeth, it’s very important to undergo regular Boise dental exams and x-rays in order to catch any signs of trouble. If you would like more information about wisdom tooth extraction or to schedule an appointment with your Boise dentist, contact us at (208) 345-8962 today. Dental care is important during every stage of life. At Summit Dental Group, we offer a preventative and comprehensive approach to family dentistry in Boise, Idaho. This means we are prepared to help you and your family from your first dental check up on. With over 35 years of dental experience, we’ve got all your bases covered. As recommend by the American Dental Association, a child should have their first Boise dental visit by their first birthday or within six months of their first tooth appearing. Doing so will provide you with the knowledge and tools you need to care for their primary teeth. By introducing your child to their Boise dentist at a young age, you will also ensure future positive experiences as they get older. Boise dental sealants are a wonderful way to protect your child’s teeth. Applied as a thin coating to the grooves of your child’s back teeth, Boise dental sealants work to prevent cavities by blocking the penetration of bacteria, sugar, germs and other cavity-causing substances. All in all, sealants are an excellent way to save you time, money and the stress of having to make unwanted Boise dental appointments for costly treatments. For many people, having your wisdom teeth removed is a rite of passage into adulthood. As the last teeth to develop and break through in the mouth, wisdom teeth (your third molars), usually come in between the ages of 16 and 18. While not all people experience problems with their wisdom teeth, the decision on whether or not to have them removed is a decision best left to your Boise dentist. If you are experiencing any problems or symptoms due to the eruption of wisdom teeth, it is important to schedule an exam and talk with your Boise dentist about your dental treatment options. Whether you’ve lost teeth due to decay, age or accident, the dentists at Summit Dental know that missing teeth can be embarrassing, inconvenient and uncomfortable. As a desired choice for people wanting a permanent solution to replacing missing teeth, Boise dental implants are a great option when it comes to a natural looking, functional and reliable smile. Not only do they help to maintain bone structure and tooth health, they require no special care and are a permanent solution that can last a lifetime. The great thing about Summit Dental Group is that we can begin your treatment at any stage, and continue to treat you as you and your teeth progress and age. Whether your dental needs are a complete exam and cleaning, a full mouth restoration, or anything in between, our Boise dentists will provide you with exceptional care you can depend on. Contact us at (208) 345-8962 today for an appointment. We look forward to seeing you! While most people will need a wisdom tooth extraction during their lifetime, not everyone will develop their wisdom teeth at the same time. 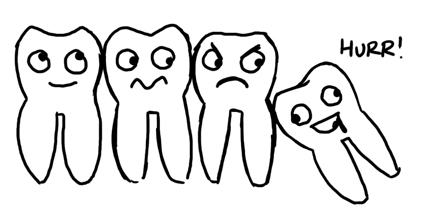 Likewise, not all people experience the same symptoms when a wisdom tooth needs to be removed. As a result, it’s important to recognize the warning signs that may indicate you need a wisdom tooth extraction to avoid the need for an emergency Boise dental visit. As wisdom teeth develop, it’s not uncommon to experience pain or swelling. Pain or swelling can indicate an infection that can affect your overall health if left untreated. While some people notice jaw sensitivity, others may feel a constant dull pain. In either of these scenarios, it’s important to visit your downtown Boise dentist at Summit Dental Group for an immediate exam. Pain while eating is another common warning sign for a wisdom tooth extraction. If you find it difficult to chew or swallow, it may be time to visit your Boise dentist to find out if you have an impacted wisdom tooth. Likewise, food and bacteria can build up between a wisdom tooth and its neighboring molar causing pain due to decay or infection. While it’s not something we’d normally associate with a wisdom tooth, sinus issues can develop when an extraction is needed. As a wisdom tooth and its roots develop on the upper jaw, they can push and rub against the sinuses putting pressure on them. This, in turn, can lead to sinus pain, pressure, headaches, and congestion. Often when a wisdom tooth develops, it can create a flap of gum tissue that resides next to the tooth. This gum tissue can trap small food particles and bacteria. This can cause pericoronitis (an infection near the wisdom tooth) causing the tissue around the tooth to become hard and inflamed. Symptoms of pericoronitis include painful, swollen gums, a bad smell or taste in the mouth, discharge from the gum near the tooth, swelling on the affected side of the face and swollen lymph nodes. As a rather serious issue, pericoronitis must be treated by your Boise dentist. Do I Have to Get Wisdom Teeth Removed? If you experience any of the symptoms listed above, it’s important to consult with your downtown Boise dentist about the best method for extraction. In some cases, the tooth will emerge just enough that it can easily be removed at our Summit Dental office. 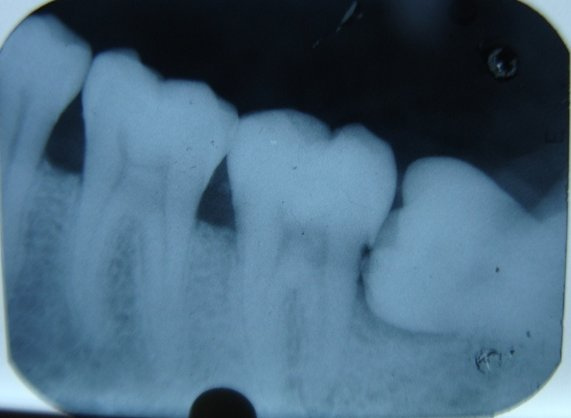 However, an impacted wisdom tooth may need to be surgically removed. If this happens, we will refer you to an oral surgeon to best meet your individual needs. If you’re experiencing any oral discomfort and aren’t sure whether or not wisdom tooth is the main culprit, call us at (208) 345-8962. We can help diagnose the problem with a thorough exam to help you decide on the best treatment option. Having a tooth removed is never a pleasant thought. However, an extraction may be a necessary procedure depending on your situation. Some people will put off seeing their Boise dentist when they have a toothache or feel they might have to have a tooth removed. At Summit Dental, we want you to know that the procedure isn’t as frightening as many believe and sometimes it can be the best solution to a problem. If you think you may need to have a tooth removed, it’s important to visit your Boise dentist. Only a dentist can tell you if it’s necessary or if there are other treatments that would work better. A tooth extraction may be needed if your tooth is severely damaged. You might have broken it by biting down on something or perhaps damaged it during an accident. It could also be the result of infection or decay. 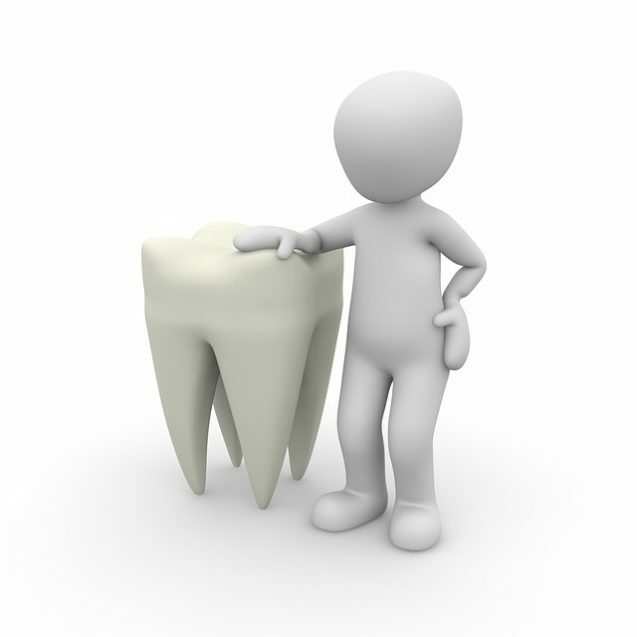 In some cases, the tooth can be repaired using one of several methods. For example, a filling might be able to fix the damage, or a crown might be appropriate. However, sometimes the tooth is too damaged to restore or preserve it, and it needs to be extracted. Another reason a tooth extraction may be necessary is that your mouth is crowded. An extraction is a common practice among teengagers and adults who are getting braces. An overcrowded mouth can make it more likely for teeth to be misaligned. Having a tooth removed can provide other teeth with the room they need to spread out and straighten. A tooth extraction may also be a good idea if a new tooth isn’t able to break through the gums. A crowded mouth can prevent this from happening so an extraction may be the best option. An infection or the risk of infection can be a deciding factor on whether or not to remove a tooth. An infection can occur if the pulp of a tooth is damaged by tooth decay. When this happens, a root canal is usually performed to correct the problem. Antibiotics on the other can can also be given to treat an infection. However, sometimes these treatments don’t work. When that happens, a tooth extraction is often the solution that will take care of the problem. However, an extraction is usually the last resort performed by your Boise dentist after other treatments have failed. Visit Summit Dental if you suspect you may need a tooth extraction. 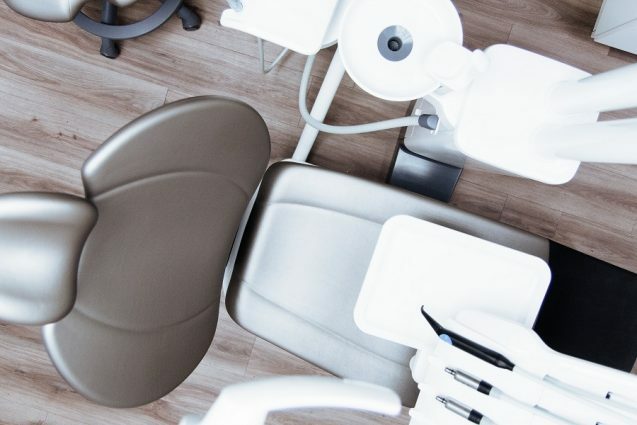 Our Boise dentists are skilled and experienced to help you find the treatment option that’s right for you.Our comfortable office and caring staff will help you feel calm as soon as you walk through the door. We promise to do our best to ensure your tooth extraction will be as comfortable as possible. If you need to see your dentist, don’t put it off. Performing a tooth extraction sooner rather than later will prevent further problems. Call us at (208) 345-8962 to schedule an appointment. As the last teeth to develop and break through in the mouth, wisdom teeth (your third molars), usually come in between the ages of 16 and 18. While historically, dentists have suggested that wisdom teeth should be removed in almost all cases since they do not perform a vital function and often cause other Boise dental issues, this tradition is somewhat changing. If your wisdom teeth are healthy, your Boise dentist may not suggest having them removed. Since every patient is different, the decision to remove or keep your wisdom teeth should be discussed with your Boise dentist. Alignment: Impacted wisdom teeth can undo the effects of braces, bridges, crowns, partial dentures, or any type of dental work. Your Boise dentist will look at the shape of your mouth and the position of your teeth before making any sort of decision. If you are experiencing any pain associated with your wisdom teeth, they may pose a risk to other teeth or cause weakness in your jaw. Keep in mind there are a variety of different ways your wisdom teeth can be removed including extraction by your Boise dentist, or (if deemed necessary) surgical intervention. Your Boise dentist or oral surgeon will help guide you with choosing the best procedure that is right for you. If your wisdom teeth come in without pain and settle normally in relation to your mouth and other teeth, there may be no need to remove them. Some people have enough room in their jaw for wisdom teeth to grow. But keep in mind that not all wisdom teeth cause pain and you may not even realize you have them. That’s why it’s important to see your Boise dentist regularly so you can be examined and check for any potential problems. Whether or not to remove your wisdom teeth is a decision best left to your Boise dentist based upon some of the factors outlined above. Good Boise dental health will remain extra important if you do keep your wisdom teeth as they are located in the very back of your mouth and are harder to clean. If you do keep your wisdom teeth, it is very important to undergo regular Boise dental exams and x-rays in order to catch any signs of trouble. Wisdom teeth get their name because they are the last teeth in your mouth to develop and grow in (erupt). Often times the eruption of a wisdom tooth takes place during late teen years or for people in their early to mid 20’s, which is why they are often referred to by a Boise dentist as the age of “wisdom” – hence the name. While once extremely useful, wisdom teeth serve very little purpose. In fact, in most cases, people rarely have room for them to grow in! The reason for this is because our diets have changed as we’ve evolved as humans. Food that we once ate was very course which caused our teeth to break & wear down so fast that they would take up less space in the jaw over time. Because food was so hard to chew, they were often lost at an early age which created more room in the mouth for wisdom teeth when they came in. As the last set (third) of molars to grow in, wisdom teeth develop in the bones of the upper and lower jaws. Typically people develop four wisdom teeth one on the upper and lower sides of the mouth. While not all people develop a full set (some only have one, two or three), wisdom teeth often become impacted (covered by gum or bone) which may lead to emergency wisdom teeth removal by a Boise dentist. Erupting wisdom teeth can grow in at various angles in the jaw including horizontally which can lead to a variety of Boise dental symptoms. On/off pain is typically the most common. Partially emerged wisdom teeth are also extremely prone to infection as they are the hardest teeth to clean even with a professional Boise teeth cleaning, and often times become a magnet for bacteria. 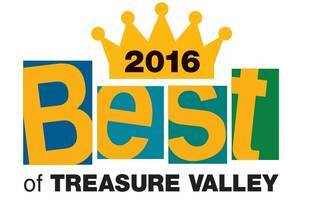 While not all people need a Boise wisdom teeth removal. It depends heavily on whether or not there is enough room for them to grow in. Being able to keep your wisdom teeth also depends on whether or not you are able to properly care for them. However, people often choose to have a Boise wisdom teeth removal upon the recommendation of their Boise dentist while they are young in order to prevent any potential problems that may arise should they grow in. If you are experiencing any problems or symptoms due to the eruption of wisdom teeth, it is important to schedule a Boise dental exam, and talk with your Boise dentist about their wisdom teeth removal options. Wisdom Teeth: Why Do They Need To Be Removed? This is one of the main reasons patients get their wisdom teeth removed. Instead of growing straight up or down, many wisdom teeth will grow sideways into your other teeth, out towards or jaw, or in towards your tongue. When growing towards your other teeth, they can cause a lot of pain and pressure and can even cause your other teeth to move. When growing out or in, the wisdom teeth can cause problems with the jawbone or nerves. If your wisdom teeth have managed to come in straight, you still might not be out of the woods. Sometimes wisdom teeth, especially the bottom molars, don’t come in all the way, leaving a flap of gum over the tooth that is great for holding bacteria and staving off your toothbrush. That makes these teeth much more prone to infection and disease. While you can cut off this flap of gum, it will just grow back. Several studies have linked wisdom teeth in older adults to increased infections and cavities, which in turn affect your overall health. Even if your wisdom teeth come in straight and don’t crowd your other teeth, they may be more trouble than they are worth with the cavities, root canals, and infections many people experience with them. It’s not just cavities—gum infections and even cysts are more common complaints as well. Wisdom teeth are so much more prone to cavities due to their hard-to-reach location. With all the hassle associated with wisdom teeth, many professionals recommend wisdom teeth removal when you are in your teens or early twenties before any problems start. The roots of wisdom teeth are not fully formed at that point, and the teeth don’t have enough time to push around your other teeth or cause other damage. Wisdom teeth removal for patients who are under 25 years old are very predictable and rarely result in complications. Stop by and talk with our Boise dentists about your wisdom teeth removal options, or give our Boise office a call for more information! For many people, getting wisdom teeth removed is a rite of passage into adulthood. Usually removed when a patient is in their teens or early twenties, the procedure is usually accompanied by a lot of chocolate shakes and plenty of movie marathons. But what does the procedure actually require, and how do our Boise dentists give you the best care? Our Boise dentists make sure they know everything before heading into a procedure. Not all wisdom teeth have to be removed, if there is room for them, and some teeth do not require the surgical extraction generally associated with removing wisdom teeth. If they have already come in, they may be able to be removed with a simple extraction that only requires local anesethetic. The teeth may be misaligned. This means the wisdom teeth are angled towards the patient’s molars. They can also be leaning too far outward or inward. In any case, they cause pain and discomfort. The teeth may be impacted. Impacted wisdom teeth are still within the jawbone or tissue. While this may not be a problem now, it usually poses a problem later, especially if the teeth are also misaligned. They also may not have broken through the surface of the gums due to space issues and so need to be removed. The teeth may be partially erupted. When a tooth is halfway emerged from the gums, it is called a partially erupted tooth. This can be very uncomfortable and cause swelling and pain. It is also very difficult to brush and floss and so is much more likely to decay. After the initial exam, patients will receive the information they need to come prepared for the teeth removal. They will know how long the appointment will last, and about how long the recovery will take. It is difficult to give a time frame for the procedure or the recovery because every case is different and every patient is unique. In most cases, the recovery period only lasts a few days. The Procedure and Healing Process. On the day of the procedure our Boise dentists may recommend that you do not eat before the appointment so that you are ready for the anesthetic. A general anesthetic will allow you to sleep through the appointment as well as prevent pain. Once you are given the anesthetic, our Boise dentists may begin to count down from ten, or they may ask you to create a nice dream for yourself. In either case, you will be asleep within seconds and will wake up once the appointment is over. Plan for a lot of sleeping and laying around for the day or two after the appointment to allow time for healing. Generally stay with soft foods like shakes, slowly switching over to regular food as you heal and are able to eat it. Our Boise dentists will give you a thorough recovery sheet so you know how to take care of yourself for the fastest healing. Most important of all, enjoy plenty of great movies or catch up on your favorite television shows! Wisdom teeth removal does not have to be a painful process. With the best preparation and patient care, our Boise dentists do our best to keep every appointment simple and relaxing. We may even check up on you to make sure you are feeling okay after your appointment. If you have more questions or think you may need your wisdom teeth removed, stop by our Boise office!